1842 - "The first Ukrainian immigrant to Canada" was a Ukrainian spring wheat strain from Podilya and Galicia. A farmer named David Fife, who lived near Peterborough in Ontario, obtained a sample from a Danzig ship that was unloading wheat from Ukraine at Glasgow in Scotland. He found it matured ten days earlier than other types of wheat making it ideal for the short Canadian growing season. It changed the economy of Canada. By 1928 about 85% of all spring wheat was Marquis, a hybrid using the hardy Ukrainian wheat, which was called Red Fife because of its color. 1872 - Charles Horetzky was a photographer with the Sandford Fleming expedition to find the best route for the Canadian Pacific Railway. He published a book about western Canada in 1873. His father was born in Ukraine. 1891 - Vasyl Eleniak and Ivan Pylypiw, the first officially recorded Ukrainian (Galician) immigrants to Canada landed on September 7th and passed through the district of Saskatchewan twice during October on the CPR. 1896 - A Ukrainian colony is founded Grenfeld, North West Territories (later the province of Saskatchewan). 1897 - 186 Ukrainian families moved into bloc settlements at Alvena, Ituna and Yorkton. Saskatchewan was the last prairie province in which Ukrainians settled, some unwillingly, because their relatives were around Dauphin, Manitoba or Vegreville, Alberta district N W.T. 1898 - 1914 - 6,000 Ukrainians moved into a large bloc settlement around Wakaw in 1898. Other bloc settlements followed at: Hafford, Meath Park and Yorkton in 1901; Lemberg (named after Lviv) in 1902, and Edenbridge in 1905. Ukrainian immigration reached a peak between 1911 and 1914. 1905 - Province of Saskatchewan founded on September 1. 1910 - First Convention of Ukrainian Teachers in Saskatchewan province(Canoe) on April 3. 1916 - The P. Mohyla Institute is established in Saskatoon on August 4. 1918 - The Ukrainian Greek Orthodox Church of Canada is founded in Saskatoon on JuIy 18-19. 1919 - The Saskatchewan School Act permitted only English as the language of instruction so that any formerly bilingual school, using English and Ukrainian, became illegal. 1926 - 1934 - The Ku Klux Klan was organized throughout Saskatchewan by J. Maloney, who claimed 40,000 members by 1927. The Klan wanted to restrict immigration. A quota was to apply to such "non-preferred" Europeans as Ukrainians. 1927 - The Ukrainian Self-Reliance Association of Canada was founded in Saskatoon on December 25-26. 1931 - The Canadian Ukrainian Youth Association (SUMK) is founded in Saskatoon. 1932 - The Ukrainian Catholic Brotherhood of Canada (BUK) and a branch of the Ukrainian National Federation are founded in Saskatoon. 1934 - The Ukrainian National Youth Federation of Canada (MYHO) is founded in Saskatoon under the leadership of Paul Yuzyk, now a Senator. 1936 - The Ukrainian Arts and Crafts Museum (now the Ukrainian Museum of Canada) was founded at Saskatoon by the Ukrainian Women's Association of Canada. 1939 - The first Ukrainian credit union in Canada, the New Community Savings and Credit Union, is founded at the U.N.E hall in Saskatoon. 1944 - Prof. T. K. Pavlychenko teaches the first course of Ukrainian studies in language and literature at a Canadian university, Saskatchewan. 1948 - The first Department of Slavic Studies in Canada was founded at the University of Saskatchewan, and headed by C. H. Andrusyshen. 1952 - The Saskatchewan Minister of Education gave approval in July for Ukrainian language classes as a regular high school subject in grades 9 to12, the first in Canada. 1952 - Hon. Alexander Kuziak becomes the first Ukrainian appointed a Cabinet Minister in a provincial government of Canada. 1955 - The UKRAINIAN-ENGLISH DICTIONARY, by Prof. C. H. Andrusyshen and J. N. Krett, the most complete ever produced, is published by the University of Saskatchewan. 1956 - The first Ukrainian woman elected to a provincial parliament is lawyer Mary Fodchuk Batten of Humboldt who served in the Saskatchewan legislature. 1959 - John Hnatyshyn of Saskatoon was appointed to the Senate of Canada by Prime Minister John G. Diefenbaker. 1969 - Dr. Stephen Worobetz is the first of Ukrainian background to serveas the Lieutenant Governor of a Canadian province, in Saskatchewan to 1975. 1970 - Morris Cherneskey is elected as the first Saskatoon alderman of Ukrainian ancestry. 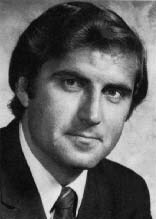 1971 - Roy Romanow is the first Deputy Premier of Ukrainian ancestry in Canada. As Saskatchewan Minister of Intergovernmental Affairs he plays an important role in establishing the Canadian Constitution, in 1982. 1974 - Saskatchewan Multicultural Act is passed. Section 209 of the School Act was changed to allow any language for purposes of instruction. The first VESNA FESTIVAL is held in Saskatoon on May 31. 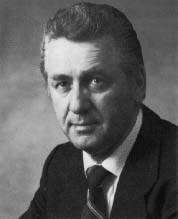 1979 - Ray Hnatyshyn (PC) is the first Ukrainian from Saskatchewan appointed to the federal cabinet in Ottawa. since Jan 18, 1998 InfoUkes Inc. Originally composed: November 1st, 1997. Date last modified: Friday February 4th, 2000.